Engagement is a special time, a time of love and intense preparation. It is a happy time, full of enjoyment and storing precious memories. It is a time of deeper dialogue, greater trust, and sharing of your deepest and most personal values. It is also a time for reflection and prayer, a time for getting things into perspective. The Catholic Diocese of the New Jersey have stipulated a period of no less than 1 year for wedding preparations. This begins with making an appointment with one of our priests to begin this life-long journey. 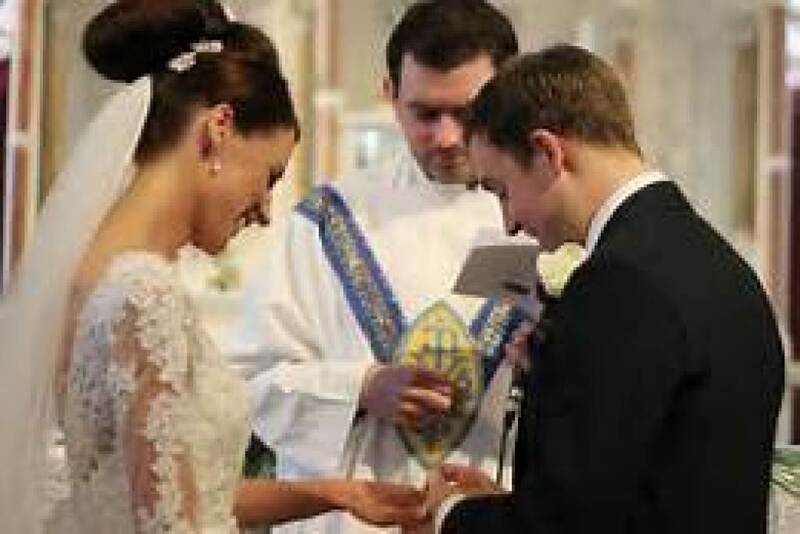 In addition to meeting with the priest over the course of the engagement period, the couple will also be asked to fill out a pre-marital inventory. This does not in any way determine if a couple may or may not marry, but rather is used as a point of departure in discussing the issues important for this sacrament. The couple will also need to participate in a PreCana worship and God's Plan for a Joy-Filled Marriage workshop. Both of these take place outside the parish. Being a sacrament of the Church, the marriage should take place in the spiritual home of either the bride or groom. Canon Law stipulates that a Catholic should marry another Catholic in a Catholic church, but a Catholic priest. In her wisdom, Holy Mother Church realizes that this is not always the case. Dispensations can be applied for to marry someone outside the faith, to be presided over by clergyman or in a church of another faith. Permission to be married outside a church building is not granted in the Archdiocese of Newark.